Why Pura Tanah Lot temple is special ? Tanah Lot is one of Bali’s directional temples, and is situated on a rock in the ocean, just offshore. From all the beautiful temples on Bali, Tanah Lot is quite special and for many one of the "must-things-to-do". It is said that Pura Tanah Lot has been built on the recommendation of an important Hindu priest Danghyang Nirartha in the 16th century, who has shaped Bali's Hinduism and religious architecture for the centuries to come. 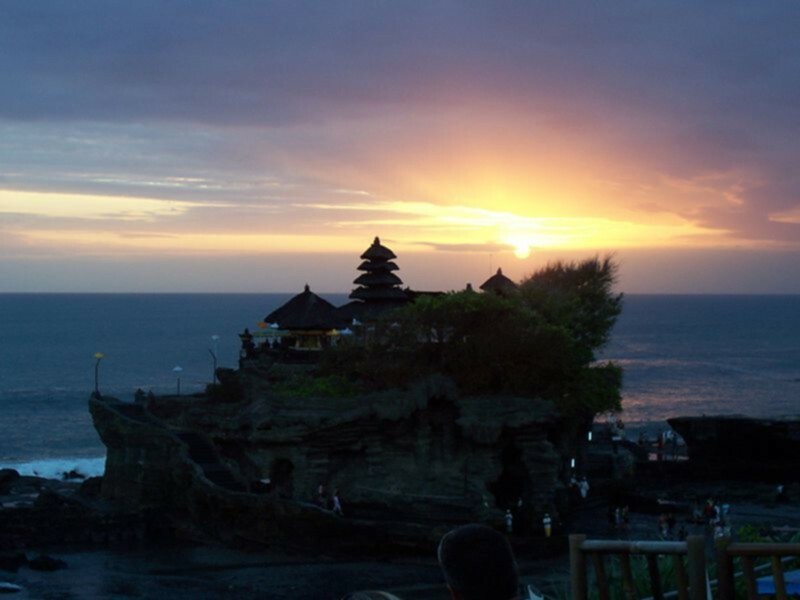 Tanah Lot is a very important site for pilgrimages and plays an important role in Balinese spiritualism and mythology. The rock that the temple sits on has been eroded by the ocean over the centuries, and is now undergoing a process of restoration. What to explore at Pura Tanah Lot temple? - Walking around to see Tanah Lot complex. Going to see souvenir shops is also interesting. Sadly, there is religious abuse. It is difficult to see Tanah lot temple in rainy reason so you should go in dry reason from April to September. The cliff face opposite on the shore had a small colony of snakes living in the crevasses so it’s quite dangerous for tourists. You should be careful! Moreover, you also should walk around the temple to see the sea and the temple complex. “Not your definition of a temple” We visited Tanah Lot Temple in February and despite the fact that the weather was lousy, the temple was still filled with tourists - this takes away the magic and serenity of the place somewhat. We went in the early evening which was great as it meant we got to watch the sun set but then of course it was also the busiest time as everyone else wanted to watch the sun set from here as well. The tide was out so we were able to make our way across to the temple easily. There was a small line at the bottom of the temple where people waited to get blessed by the holy water running in a stream under the temple. Once you had dabbed holy water onto your face, you had your forehead pressed with rice and were given a frangipani to put behind your ear which I thought was a beautiful experience. I wouldn't call Tanah Lot your typical temple as visitors are only allowed to access the foot of the rock (and only after being blessed beforehand) and the area is quite small and can only hold 4-5 people at any one time. You're actually better off standing on the shore looking out towards Tanah Lot as this will give you the best views; of the temple with the ocean in the background. Tanah Lot cost us RP 30,000 each (approximately AUD $3) so definitely worth the money. All of the markets and the locals going around haggling for money was a bit of a put off but to be expected in such a poor country.